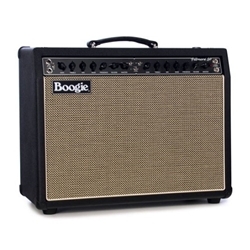 Introducing the MESA/Boogie® Fillmore™ 50™. Experience our new vintage-voiced and styled amplifier inspired from the other branch of the Boogie® Family Tree. At the heart and soul of the Fillmore 50, you'll discover - soft clip to saturated - our most expressive gain ever presented in a simple 2 (identical) Channel, 3-Mode platform, served up in traditional-sized and dressed combo and head formats. Designed specifically to complement the Fillmore 50, we’re proud to introduce the Fillmore cabinet series. The vintage-tuned enclosures feature a higher, tighter Bass response that is perfectly suited for the Fillmore's tone. Made in Petaluma, California, Fillmore cabinets are constructed from Marine Grade, Baltic Birch with rear mounted UK-Made Celestion Custom 90 Speaker/s. Their open-back design is vintage-inspired focusing on size, tone & portability. Demo the new Fillmore 50 and Fillmore cabinets at our store today!